Lymphoedema is swelling caused by a build-up of lymph. Lymph is a clear, protein-rich fluid containing many white blood cells. Your lymphatic system carries lymph through your body. Your lymphatic system is a network of channels and nodes (filters). It's part of your immune system and helps fight infection. Lymphoedema happens because your body's lymphatic system isn't working properly. Lymphoedema can affect any part of your body, but it most commonly affects your arms or legs. While lymphoedema isn't life-threatening, it also can't be cured. But treatment can improve and control your symptoms. Sometimes your body produces more lymph, for example, when you have an infection, injury, or disease, or when your muscle cells work hard during strenuous exercise. Some diseases, such as venous disease, can also change the amount of lymph that your body produces. Normally, your lymphatic system and blood vessels can cope with this extra fluid, but if either is damaged, the fluid builds up in your tissues. This causes swelling. You can inherit lymphoedema but this is rare. If you inherit lymphoedema, it can start at birth or soon after. It can also occur at puberty or later in life. It most often affects your legs. More commonly, an injury or damage to your lymphatic system causes lymphoedema. If you have lymphoedema you are likely to notice swelling or a feeling of fullness in your arm or leg. Your arm or leg might also feel heavy or painful, and your clothing or jewellery might feel tighter. This is common in the early stages of lymphoedema. You should get it checked out, even if the swelling comes and goes. If you've been told by a doctor that you're at risk of lymphoedema, there are ways you can reduce your risk. Treat cuts, skin infections (including athlete's foot), and insect bites quickly, and avoid getting sunburnt. Wear gloves when gardening and doing dishes. Avoid having blood pressure checks, injections and blood tests on arms or legs that might be at risk. Take care when using hot water bottles, ice, or heat packs. Avoid tight, restrictive clothes on arms or legs that might be at risk. Maintain a healthy weight. Being overweight may slow your lymphatic flow. 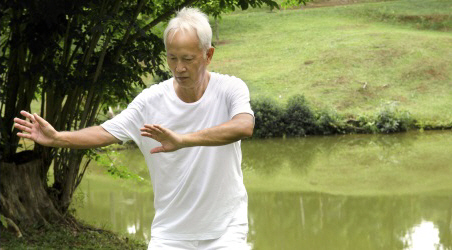 Keep active with regular activity such as walking, swimming, Pilates, tai chi, and yoga. If you want to remove hair on arms or legs that might be at risk, use an electric shaver. There aren't any medicines for lymphoedema. Diuretics (substances that make you produce more urine) can help with swelling in legs due to heart failure. But they don't help with lymphoedema. If you have lymphoedema, you should follow the advice above under Reducing your risk of lymphoedema. There are also other ways to help manage your lymphoedema symptoms. Wear compression garments every day from morning till night. Raise your affected arm or leg whenever you can. Avoid getting overheated from hot baths, spas or saunas. This may increase your swelling. Be careful with strenuous activity such as sport and gardening in hot weather. Physical activity is good for your wellbeing, but you may need to return to activity slowly and see how it affects your body. If your arm or leg swells, you should wear a compression garment when doing these activities. Learn how to do lymphatic massage and do it daily. A lymphoedema therapist can teach you how to do this. It helps move the lymph out of your swollen arm or leg. Get advice from a lymphoedema specialist if you're going to be travelling for longer than four hours. See your doctor immediately if you get any pain, redness, or heat in your affected arm or leg, especially if you also have flu-like symptoms or a fever. If this happens, you may have cellulitis, which is a bacterial infection. You'll need to take antibiotics immediately for this. Think about your work activities and if they affect your lymphoedema. Heavy lifting and repetitive movements aren't good for lymphoedema. Pay attention to your posture and how you sit at work. It's a good idea to wear a compression garment at work. Go to one of Canterbury DHB's lymphoedema education sessions held at Burwood Hospital's Physiotherapy Department. Lymphoedema specialists are usually nurses, physiotherapists, or massage therapists who are specially trained to manage lymphoedema. They provide several types of treatment including bandaging, massage, exercise, and taping. They can also measure and fit you for compression garments and tell you what you can do to manage your condition. You can get treatment at the Physiotherapy Departments of Burwood and Timaru hospitals. There are also private lymphoedema therapists. You may be able to get help to pay for this through WINZ, the Cancer Society or another agency. Talk to your health professional about this. There are some types of surgery for lymphoedema but none of them are done in Canterbury. Surgery is rarely done in New Zealand and there's no surgery that removes the need to wear a compression garment. This page has information about lymphoedema, including who is at risk of getting it, why it happens and how it's treated. This page has information about how compression garments and bandages are used to help keep lymphoedema under control. This video shows you how to use a device to help you put your compression stockings on. Written by Canterbury lymphoedema specialists. Adapted by HealthInfo clinical advisers. Last reviewed September 2017. Canterbury Community HealthPathways – Lymphoedema, retrieved August 2017. NHS – Lymphoedema, retrieved May 2017.